Former General Manager from The Ranch Acquires The Roxy Theatre To Create A Premier Country Bar & Concert Venue Powered By Impact Live Events! Former General Manager From The Ranch Acquires The Roxy Theatre To Create A Premier Country / Rock Bar & Concert Venue Powered By Impact Live Events! The new venue located at 46 & 50 Dunlop Street West has had many sloppy attempts to harness a nightlife business but Al Quigley’s decades of hospitality experience and quarterbacking The Ranch Nightclub since inception, makes him an excellent candidate for returning the location to its original and successful heyday. Al has also made a deal with the rooms original and longest standing Promoter, John Derlis of Impact Live (founder of TicketBreak & former marketing director from The Docks Entertainment Complex). Together they intend to take “Live Music Special Events” and “Country Saturday’s” to the next level. They will have plenty of help from former Roxx G.M. Scott Knowles (currently Impact Live Director of Show Operations) and local design house DENT, spearheaded by local promoter, entertainer and brand builder Drop Daniels, as they deliver all genres of live music to a professionally managed music hall focused on the quality of service when engaging your party senses! John Derlis says “Given the higher ceiling and large concert stage providing better acoustics and sightlines, we can provide a much more positive guest experience! Plus, having the new professional green rooms and arena production, all artists who care about how their brand and musical product is delivered, they better stick to the pro’s running Mavricks Music Hall”. 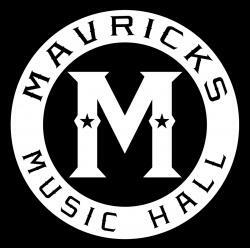 If you have what it takes and are looking for a job at Mavrick’s Music Hall, attend the Employment Expo on September 6th and 7th from 5pm-8pm or contact Al directly for a confidential interview at (705) 503-5222. • Friday, October 21st, 2016 – Country 105 & Country 93 Birthday Bash featuring THE ROAD HAMMERS, James Barker Band & Leah Daniels! Tickets from $31.50+HST. All online purchases qualify you to WIN a Meet & Greet with The Road Hammers - MORE INFO! • Friday, November 4th, 2016 – Rock95 brings back the “Burn Your Mortgage” Birthday Bash to the building where it all started 28 years ago with chances to WIN over $400K in life altering prizes, plus TOM COCHRANE & BIG SUGAR performing! This is strictly a WIN to GET in Special Event – Listen to Rock95 for full details or CLICK HERE! • Friday, November 18th, 2016 – Rock95 presents L.A. Superstars BUCKCHERRY with special guests ADAM GONTIER of Three Days Grace & Saint Asonia, Punishment & Starsik! Tickets $34.95+HST - MORE INFO! Plus many more great shows soon to be announced! ABOUT MAVRICKS: Derived from the word “Maverick” and given the word's Wild West roots, maverick has always had an edgy, rebellious connotation: it originally referred to unbranded cattle that strayed from the herd, putting their ownership in doubt. It was then a short step in going from this original meaning to applying the word to a person who strayed from and did not follow the thinking of a group he or she belonged to, or who rebelled against accepted ideas. Maverick thus came to generally mean an individualistic and independent thinker. 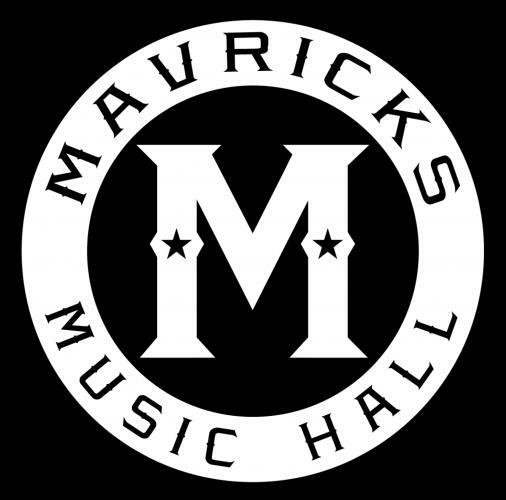 Introducing MAVRICKS MUSIC HALL – A rebellious and technological new venue and ownership providing a full range “Country & Rock Bar Saturday Nights”, plus “Live Music Fridays” with local bands and tributes performing in between special events, which is a great new option for event organizers (full venue specs coming soon)! So if you consider yourself a bit of a maverick, we’ll see you at the all new Mavricks Music Hall re-defining Barrie’s entertainment scene! ABOUT IMPACT LIVE: Established in 1985 Impact Live is a turnkey special events company with unparalleled expertise and comprehensive range of live event services: Event Management, Sponsor Fulfillment, Talent Booking, Production Services, Ticket Solutions, Venue Solutions, Integrated Promotion and Marketing. We have built a top reputation from decade’s long relationships with radio, record labels, venues, agents, artists, artist management, production companies, ticket agencies, and municipalities. Everything needed from top to bottom IMPACT LIVE provides first class boutique service for your special event. We believe relationships and integrity are keys to successful business. Great care is taken with our clients to ensure they are aware we value their business as our own.